Hazard Analysis Critical Control Point is a system that has been set up and agreed at a federal level to manage food safety within restaurants. 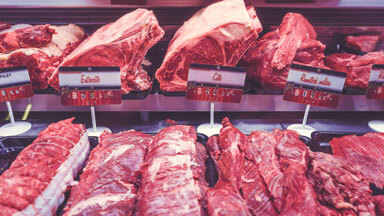 In the United States, HACCP controls meat, poultry, seafood and juice production while HARPC is used for all other food products and production. HACCP addresses these three risk factors when handling food and beverages. Physical: hair, nail, band-aid, any other physical item that could contaminate product. Biological: viruses, bacteria, mold and toxins. Step 1 — Carrying out a thorough hazard analysis to determine what hazards are present and what preventative measures can be put in place to control those hazards. Step 2 — Identify and set the critical control points. This should be something that either eliminates, prevents, or reduces the risk to an acceptable level. Step 3 — Establish critical limits, the requirement is for a minimum and a maximum level to level each critical control point. Step 4 — Set up the monitoring system, each critical control point needs to be monitored to ensure that the system is in place and operating effectively. Step 5 — Install corrective actions, if a critical control point has been breached, what can be done to correct the issue? Step 6 — To ensure that the HACCP plan is working as it was intended to, validation is required. Each business creates their own HACCP plan based on FDA and USDA guidelines and will have them approved after they have been set up and put into use. Microbial testing is a normal part of that process, which involves food testing of products to ensure that the safety chain has not been broken, by checking for bacteria, etc. The sample will be taken and sent to a food-testing lab such as Alliance Analytical Laboratories. Step 7 — Record keeping is one of the more important parts of the HACCP food safety process, because there is no point following the system if you cannot provide adequate records that has been verified and validated on a daily basis by a responsible person. Your records would form part of your due diligence defense in the event of a customer falling ill.
What Are The Critical Control Points? They all revolve around food temperatures and the checking of them on a regular basis. When taking food temperatures, a probe is used by sticking the thermometer into the thickest part of the product. For hot foods such as poultry, stuffed meats and reheated foods should read the temperature of 165 degrees Fahrenheit (74 Celsius) for 156 seconds. For ground meats, favor injected roasts and eggs that will be hot held the temperature must reach 155 degrees Fahrenheit (68 C) for 16 seconds. Roasts should reach 145 degrees Fahrenheit (63 C) for 4 minutes. Meat chops, fish and eggs being served immediately should be 145 degrees Fahrenheit (63 C) for 15 seconds. If you need more information about the relevant HACCP regulations for your business, visit the USDA or contact Michigan food testing Lab, Alliance Analytical Laboratories.